Now, there are beasts and there are beasts. This ranks among the most colossal of huge smartphones on the market at 6.44 inches! You have a mobile cinema unit in this one. It doesn’t look shabby at all when you consider its price. The Uhans Max 2 shows a metallic body and weighs in at 245 grams, with battery. Its huge IPS display boasts Full HD resolution of 1,080 x 1,920 pixels. This should serve up decent wide-angle viewing. Uhans Max 2 has 2.5D curved glass on the front. You are also likely to love the Uhans Max 2 if you are a photography enthusiast. It’s an option for budget buyers that desire dual camera setup. But it doesn’t just give you a pair of sensors on the rear; you get another two on the front. Each setup consists of 13MP and 2MP sensors. There is report that it offers selfie flash. We cannot say the Uhans Max 2 disappoints with what it packs under the hood. You get an octa-core MediaTek MT6750T chipset taking care of business at max speed of 1.5 GHz. Uhans Max 2 comes with an ARM Mali-T860 MP2 GPU and ample 4GB RAM. This configuration should comfortably handle most games. You also get generous storage space onboard with a capacity of 64 GB. This is expandable by another 128 GB. 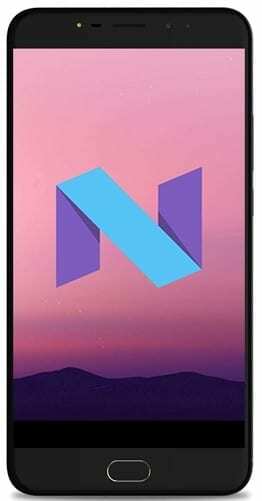 The choice of Android 7.0 Nougat OS to run the show is also good for the price. A device this big needs an equally large battery to provide juice. It’s therefore not surprising seeing the Uhans Max 2 packs a huge 4,300mAh Li-Polymer battery. That should get things running for hours – precisely, up to 15 hours of talk time or 10 hours of video playback. The phone offers a fingerprint sensor for added security. Uhans Max 2 supports 4G LTE (Cat. 6) connectivity. Uhans Max 2 is not officially available in Nigeria and Kenya, but will be able to buy the smartphone from Jumia in both countries. Uhans Max 2 Price in Nigeria is expected to range from 53,100 Naira to 75,000 Naira. Price of the Uhans Max 2 in Kenya is expected to start at around 15,600 KSh.